Struggling to hold on to the illusion of youth, Friedan wrote, we have denied the reality and evaded the new triumphs of growing older. We have seen age only as decline. 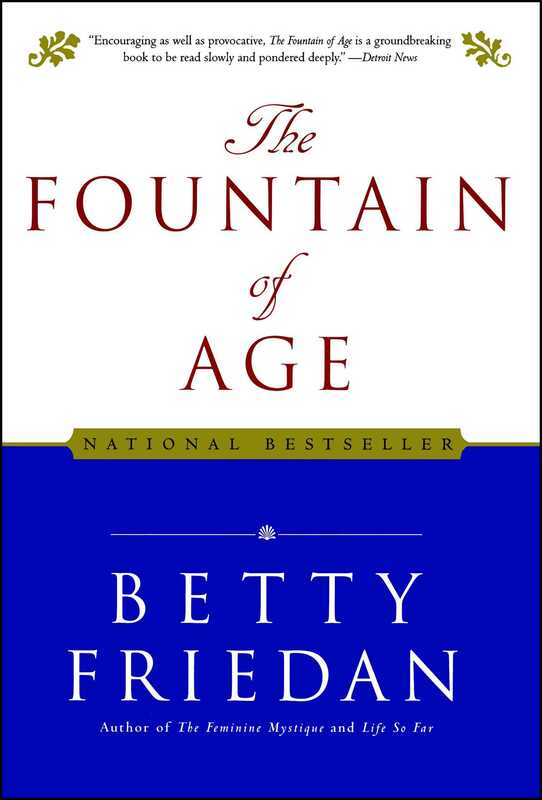 In this powerful and very personal book, Betty Friedan charted her own voyage of discovery, and that of others, into a different kind of aging. "Important and inspiring.... Anyone troubled by fears of aging, of disease, of deteriorating faculties -- or anyone who is trapped in a futile denial of mortality -- will find solace in Friedan's monumental exposure of the 'mystique of aging,' and will perhaps share her sense of liberation in meeting the challenge of the 'third age. '...Encouraging as well as provocative, The Fountain of Age is a groundbreaking book to be read slowly and pondered deeply." "With her usual methodical research and forthright insights, author and feminist Betty Friedan brilliantly challenges the unspeakable.... Friedan dissects the clichés of senility and impairment to reveal a multitude of joys and options that actually exist in the continuum of life she calls the 'Third Age.'"